July 31, 1981 Arnette R. Hubbard was installed as the first woman and 39th President of the National Bar Association in Detroit, Michigan. A native of Stephens, Arkansas, Hubbard earned her Bachelor of Science degree from Southern Illinois University and her Juris Doctor degree from John Marshall Law School in 1969. 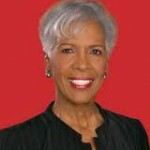 She began her career in 1969 as a lawyer for the Lawyers Committee for Civil Rights Under Law. She served as the only woman member of the Chicago Board of Election Commissioners for eight years where she ensured greater access to the voting process through aggressive voter recruitment programs. In 1994, she served as an official monitor of the first South African election after apartheid was abolished. 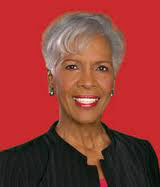 In 1997 she was appointed a judge in the Circuit Court of Cook County.